DragonFire's Sidekick Venture Bag lets you take all your necessities that you will need for an all-day trip on the trails. Instead of packing around that big bulky cooler that does not give you very much room, it is time to get yourself this Venture Bag! 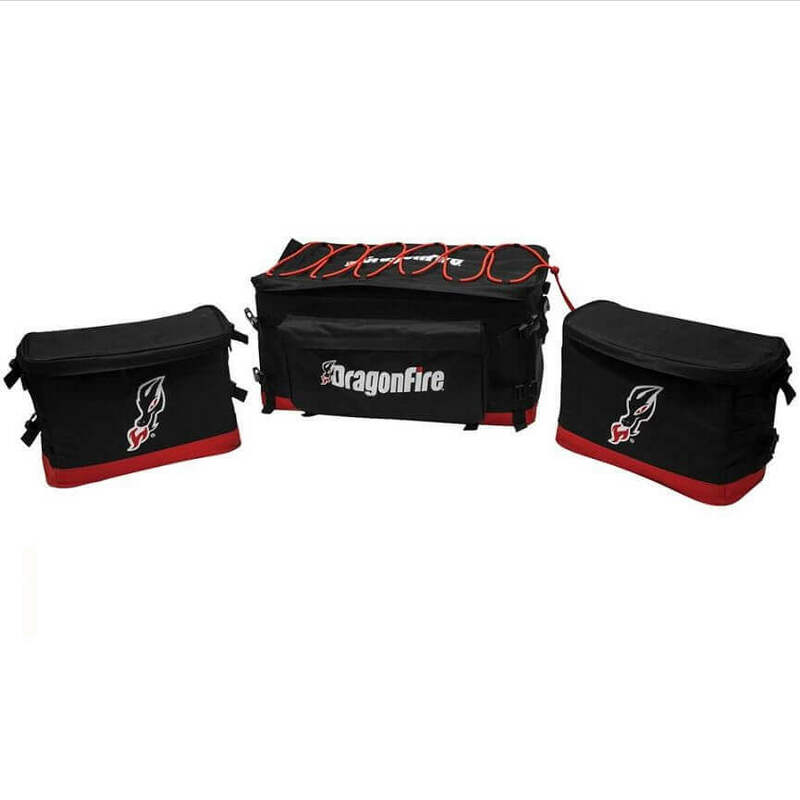 With all the compartments that come with this aftermarket bag, you can store food, drinks, tools and whatever else you are going to need when you are out and about! All you must do is mount it to your machine and off you go to enjoy your day out on the trails! The Sidekick Venture Bag comes equipped with water resistant line and removable divider to adjust the cargo in the center compartment. The zippers and mounting straps are heavy duty to withstand all the riding you will be doing! The two side packs are insulated coolers that detach quickly for you to be able to use them away from your machine. If you are out riding at night, the bag has a reflective trim to make it easy to see in the dark. 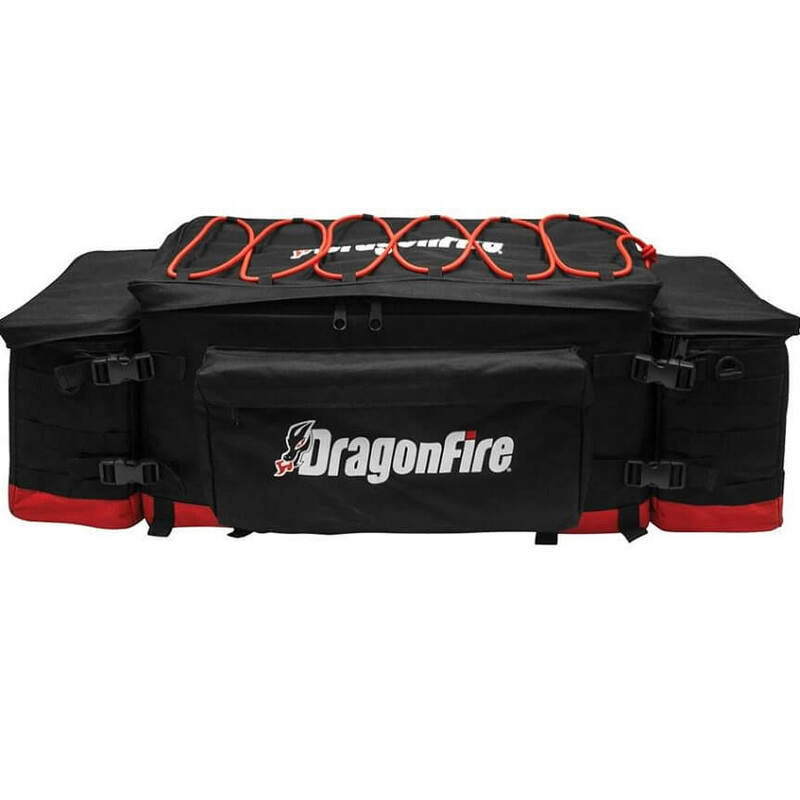 This Dragonfire bag is made from a durable 600 Denier Polyester to withstand the harshest terrains that you will take it through. Are you looking for a reliable towing method but don't want to carry around an extremely heavy chain? 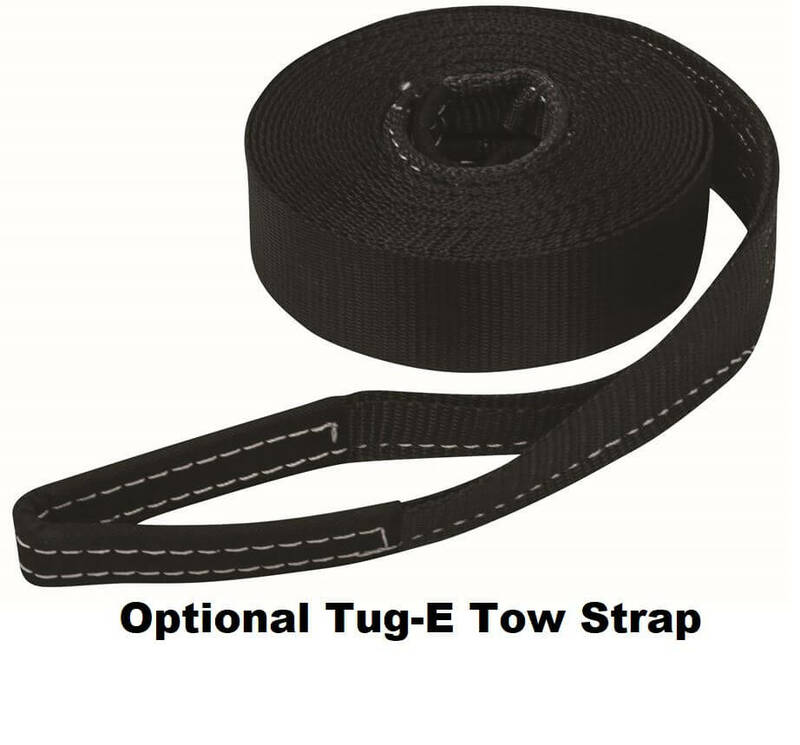 With the Dragonfire Tug-E Tow Strap you'll get an item with a work load of 3000 lbs. and a breaking strength of 8000 lbs. This strap features 2" durable webbing and includes it's own storage bag. Throw this and it's storage bag into your SideKick Venture Bag so you can have yet another essential item when out riding. After two trips, one of the tie down loops has torn, probably because the bag is just loose enough to bounce around. I expected better. We bought this bag for the storage and because it had coolers with it...we have used this a lot and every time our clothes in the big bag got wet and all of the water and ice melted out of the coolers and soaked into the big bag from the coolers which are detachable.. we love the amount of storage this bag has we can take everything we need. only problem is our clothes get wet along with towels and other stuff. we thought this bag was made for what we do and it is not. Only one trip but it kept the dust off most things and it fit well but I need to make it tighter.